Split one S-video source into two lines. 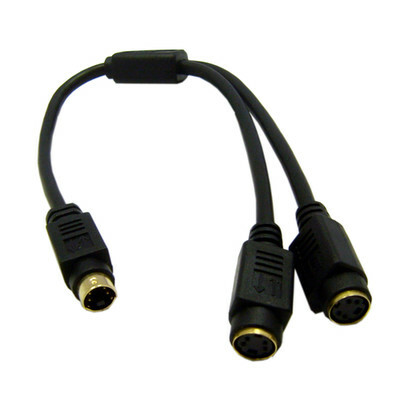 Could be used to to split a DVD output to two TVs with S-video inputs. Will display the same source. The splitter is of high quality and works great. I was a little worried because sometimes when you split the signal you lose picture quality. This was NOT the case with this splitter. Picture quality did not deteriorate at all. Overall, very happy with this splitter.